Working with countries to improve health data and build capacity to track progress towards the health-related Sustainable Development Goals and Universal Health Coverage. Launched in March 2016, the Health Data Collaborative (HDC) was established to strengthen country health information systems to meet the challenge of monitoring the health and health-related Sustainable Development Goals and boost the development of robust sustainable national health monitoring systems. 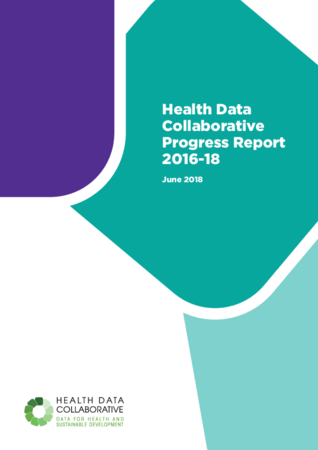 This report is a cumulative look at the accomplishments of the Health Data Collaborative since its inception. Learn about the health-related targets of the 2030 agenda for sustainable development. One of the first products of the Health Data Collaborative, now with health-related SDG indicators.